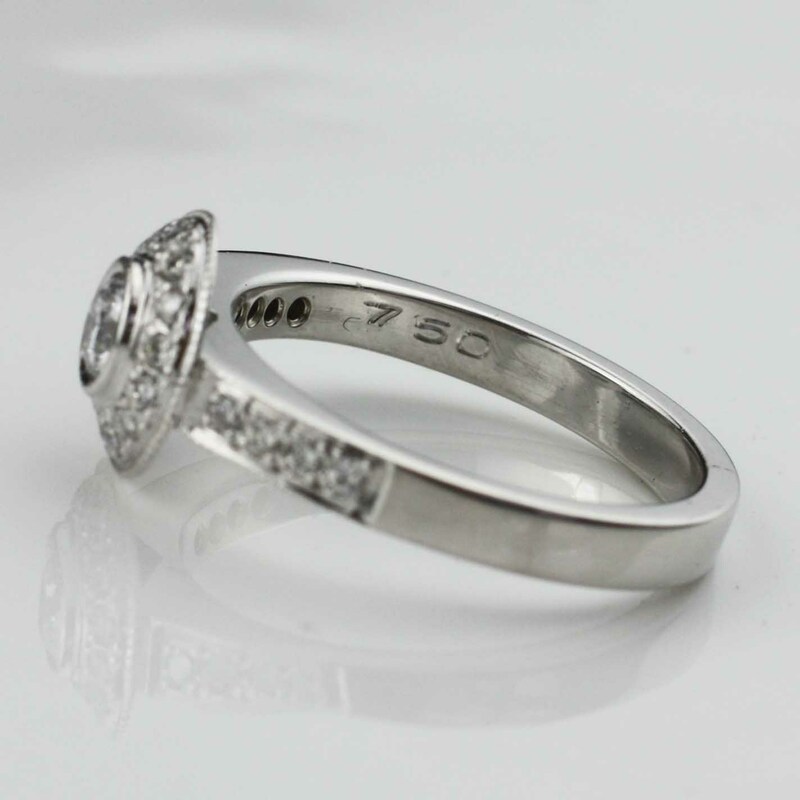 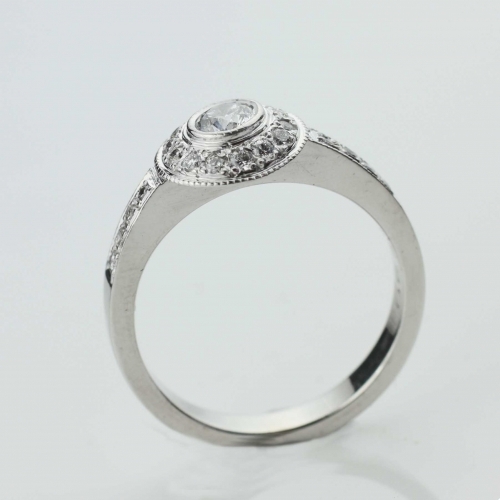 Diamond Cluster Style Ring, can be worn as a dress ring or and engagement ring. Handmade in Adelaide. 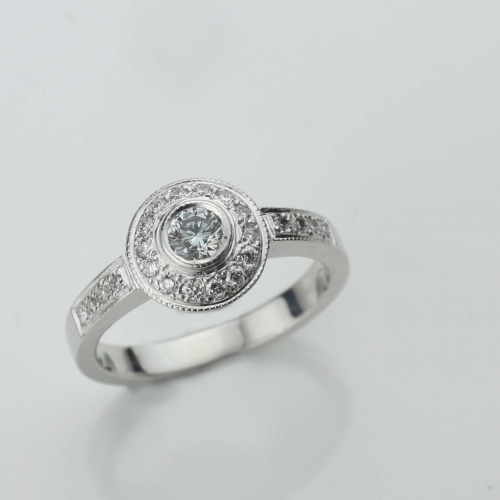 Consisting with a selection of diamonds including a centre stone .20ct VS1 clarity and F-G colour. 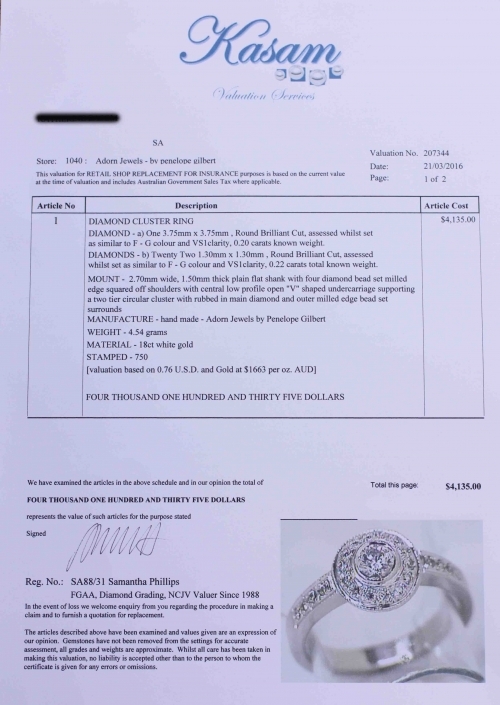 Please see independent valuation attached for buyer confidence with full description of all diamonds and weight. 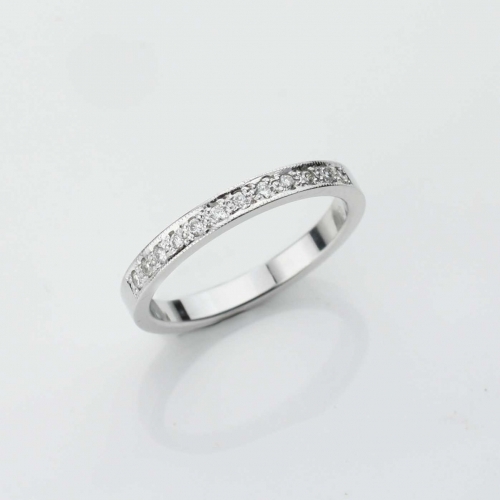 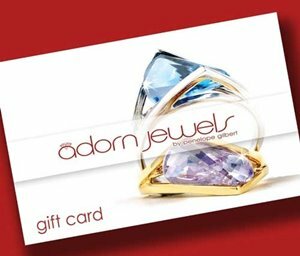 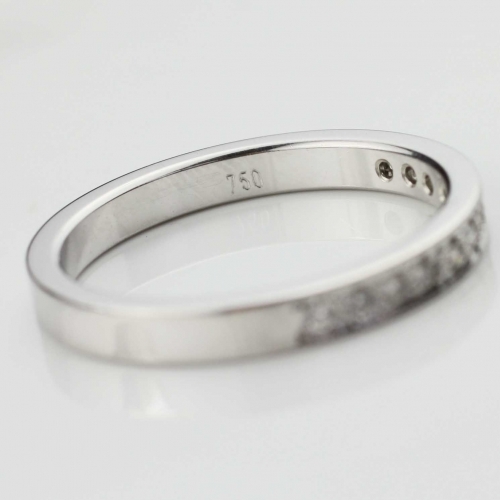 See matching wedding ring and purchase as a set with a saving. Polished and clean and looks like brand new.